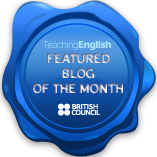 Here are some links to sites with tonnes of different conversation topics for the ESL classroom. Good for quick time fillers or to generate class discussions. Exhaustive quizlet set for house vocabulary. It took ages so I thought I’d share it. Loads of useful home vocabulary.